What is Lead Score? How do I use it? 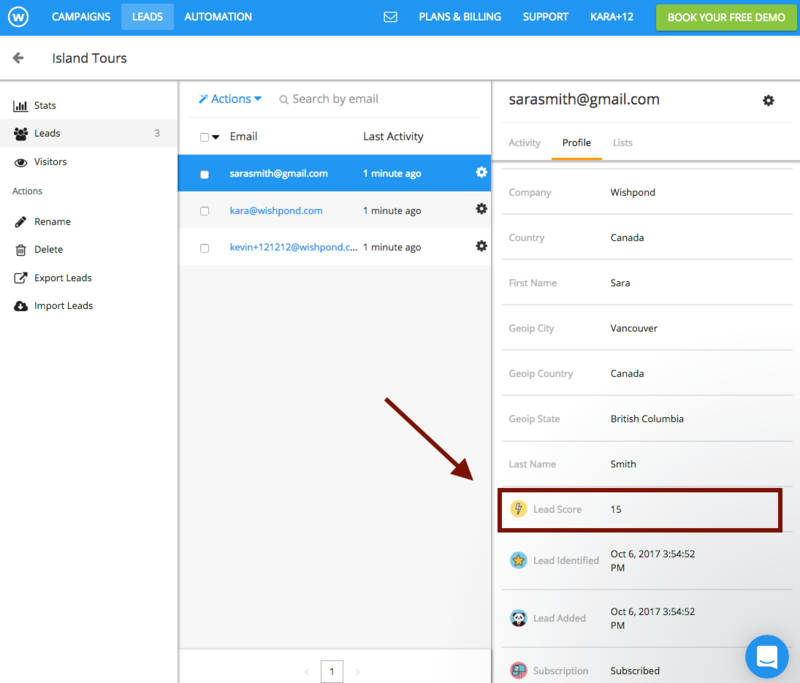 A lead score is used to assign values to users based on different actions they take via your emails, website, or Wishpond campaigns. Use a system of lead scoring to determine what types of actions signal a sales ready lead. 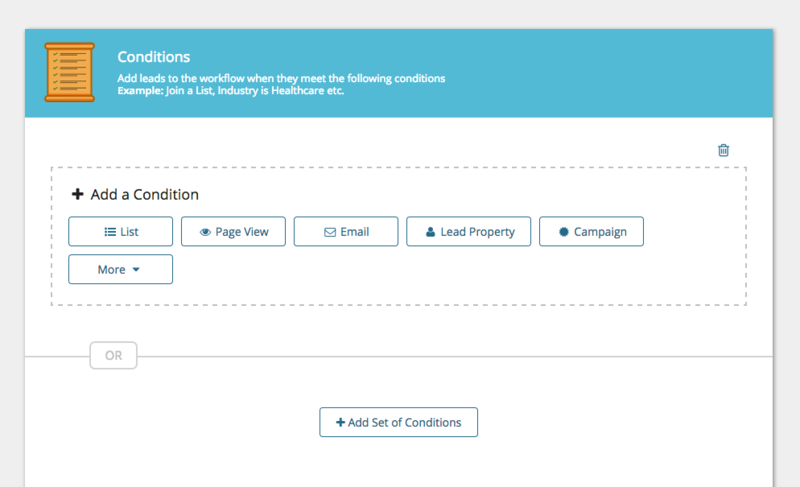 To set up lead scores for leads create a workflow with the conditions to assign the lead score. 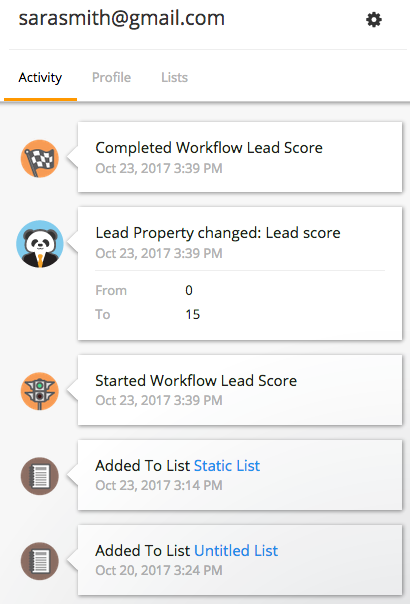 Scroll down to Actions and choose 'Set a lead property' -> Lead Score -> and set the specific value you would like for the score. 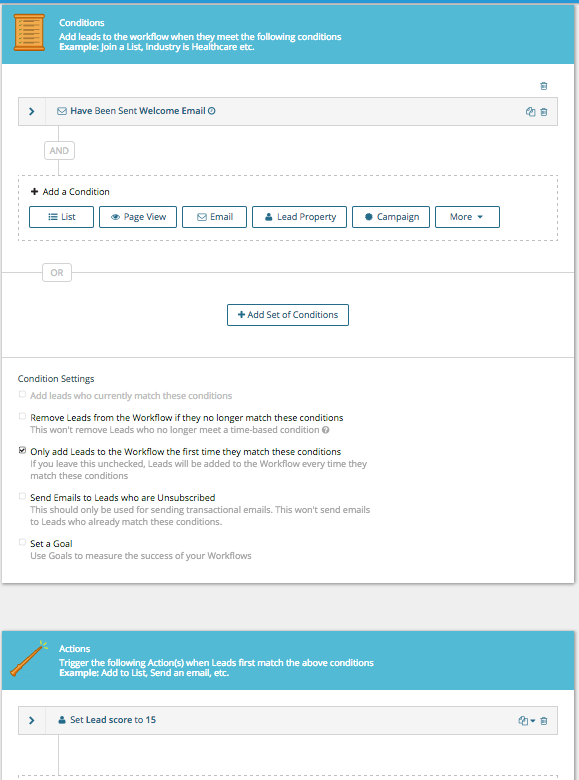 This user has a +15 lead score that was triggered from receiving an email. We can see more information about how they got this score by clicking on activity tab beside profile.